We've checked out some of the newest products available—along with some tried-and-true favorites—to find the best gadgets to make life easier and safer for older adults. Just because you’re aging doesn’t mean you can’t still live an active, independent life. New wearable technology can give you freedom, along with the peace of mind that comes with constant health monitoring and instant communication with your loved ones. The newest version of the Apple Watch has more than just aesthetic upgrades. With a larger screen, fall detection, and a soon-to-be-activated electrocardiogram monitor, it’s a great smart watch for older adults—but at around $500, it’s not the most budget-friendly. The new screen is 30% larger than older models, and when the software update comes out later this year, you’ll be able to touch the watch’s digital crown to take a 30-second ECG reading. The watch can track your readings and send them to your doctor. The watch’s built-in gyroscope accelerometer can tell if you’ve fallen, and it will ask if you’re okay or if you want to call emergency services. 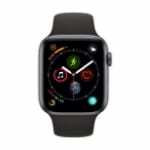 You can also use your watch as a phone or a walkie-talkie to communicate with loved ones and friends, and its speaker is 50% louder than previous versions, so it’s easier to hear people on the other end. 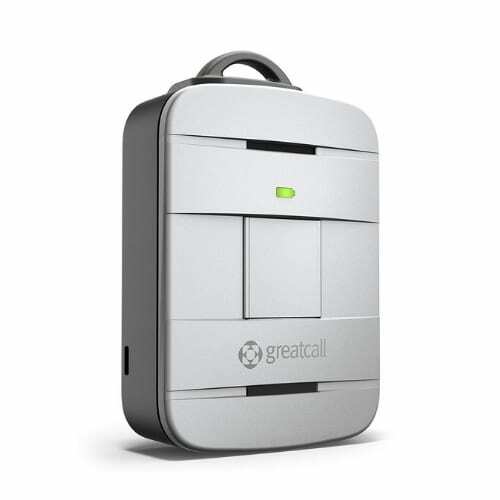 The Lively Mobile by GreatCall is similar to other medical devices like Life Alert that come with a base unit, but the Lively Mobile is a self-contained, wireless, wearable pendant or clip. It has fall detection and a built-in two-way talk feature that’s connected to live agents 24/7, so if you take a tumble, they can speak to you through the pendant to see if you need help. You can also access agents at any time by pressing the device’s button. We really like that it’s waterproof, so you can wear it in the shower, which is where most falls occur. The Lively Mobile is equipped with GPS tracking technology. Loved ones you’ve given GPS location access can check in on you through the app, and agents will know where to find you if you’re in distress. At around $50, the pendant itself is one of the most affordable on our list, but monthly fees for services start around $25 a month, and it’s not as attractive as other wearables on our list. According to the National Center for Biotechnology Information, approximately 30% of all older adults who fall and fracture a hip will die the following year, usually from complications from the fracture.1 Statistics like this are the reason the creators of the ActiveProtective Smart Belt decided to employ airbag technology to protect the hips of aging adults. The 2.5-inch smart belt is worn like a regular belt, and it works much like an airbag in a car. But instead of deploying on impact, the belt’s fall-detection technology uses 3-D motion sensors that can detect unusual movement and tell when you’re falling. The airbags inflate in 60 milliseconds, providing a cushion around your waist and hips to soften the impact. 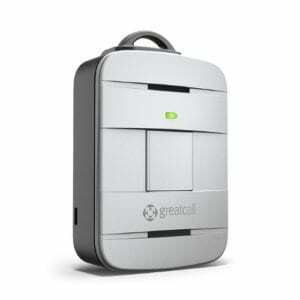 The belt also has Wi-Fi and Bluetooth capabilities to alert caregivers to a fall. The ActiveProtective Smart Belt isn’t available to the public quite yet, but we’re excited about its potential. You can visit the company’s website to sign up for the waiting list. Wearable tech isn’t helpful if you forget to put it on, so the GPS SmartSole is a great option if you don’t want to worry about remembering it. It fits right inside your shoe as a comfortable insole, and its GPS can track your location, sending a signal to its smartphone app every five to ten minutes. You can use the map to see where you are on your own phone, or you can set it up on a loved one’s phone, so they can rest assured they know where you are. At around $300, the GPS SmartSole is pricey, but financing is available. Keep in mind that you’ll also pay a monthly fee for the service, with plans starting around $15 a month. You’ll also need to charge the sole regularly to keep it working properly. 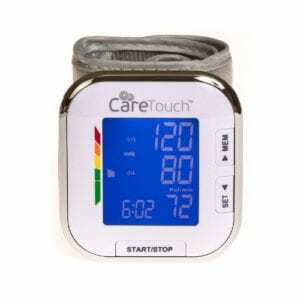 If you have a condition that requires you to monitor your blood pressure, the Care Touch Wrist Monitor is a great alternative to bulkier sphygmomanometers. It’s battery operated, fits right on your wrist, and gives an accurate reading in under a minute. Its display is a bright LCD screen with large numbers, so it’s easy to read, and it can store up to 60 recent readings. It has an automatic shutoff to conserve the battery in case you forget to turn it off, and it comes with a carrying case, so you take it with you anywhere. Plus, it will cost you only around $30. Make sure you calibrate the cuff before using it and that you carefully follow the directions for placement so you get accurate readings. Why are wearable safety devices good for aging adults? According to the Centers for Disease Control and Prevention (CDC), older adults who are active have a lower risk for falls that may result in life-threatening injuries.2 The more they’re out and about, the more they can interact with family and friends, which helps lower blood pressure and maintain strength and stamina. Wearable safety devices can inspire greater confidence in older adults and their loved ones when it comes to getting more activity. A wearable device is better than a phone because it’s less likely to get lost and is designed to be with the user at all times. How do wearable heart rate monitors work? Most wrist-based heart rate monitors use light to measure the flow of blood pulsing through your skin. Those that use ECG (electrocardiogram) technology are usually worn around the chest and use electrodes to track the electrical impulses of your heartbeat. Are wearable heart rate monitors accurate? It depends on which kind you have. Monitors that use optics (light) to measure your heart rate won’t be as accurate as those that use ECG technology, because your skin can diffuse the light, making it harder for the monitor to get a reading. Wrist monitors are also less accurate than monitors worn around the chest, because your blood flow slows down when it reaches your wrist, so you may not get an accurate heart rate reading. To see our top picks for heart rate monitors, check out the Best Heart Rate Monitors for Seniors. How can I get the most accurate readings from my wearable medical devices? Most wearable medical devices rely on direct skin contact to work (think of your doctor using a stethoscope), so they work best when you’re sitting or standing still. You should also keep your wearable sensors clean and dry, if possible, and be sure to follow the care instructions. Try to follow a regular charging schedule to make sure you have plenty of power when you need it. Should I choose a medical alert system or wearable tech? It seems like wearable technology with two-way voice would be the most convenient option both at home and on the go, but it can be expensive, and remembering to charge the batteries can be a hassle. While it’s great for those with a more active lifestyle, many medical alert companies now offer systems that include both a home-based plug-in unit and GPS trackers. But keep in mind that devices that come with medical alert systems may not always be as discreet or stylish as things like the Apple Watch 4. There are pros and cons to each—think of your lifestyle and your needs when considering which to choose. To see our recommendations for medical alert systems, visit the Best Medical Alert Systems for Seniors. Are safety wearables a good alternative to an assisted living facility? There’s no easy way to determine when it’s time to recommend a loved one to an assisted living home, but wearable safety gear and GPS tracking devices can certainly help to postpone that decision for a little bit longer. Keep in mind that most safety wearables still require a caregiver to track the person wearing them and to be available in case of emergency. If you live close to your loved one and you’re willing to be a watchful eye through your smartphone, then safety wearables might be a good way to prolong your family member’s independence. For more information on how to better care for the aging adults in your life, visit SafeWise’s Senior FAQ Page.